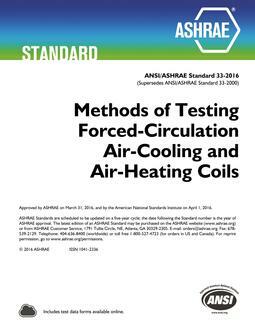 ASHRAE Standard 33 presents a method of test for use in laboratory testing of forced circulation air-heating and air-cooling coils. 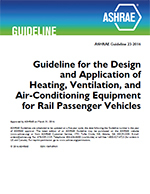 The 2016 edition of this standard was updated with assistance from the members of the product subsection Forced Circulation Air-Cooling & Air-Heating Coils (ACHC) at Air-Conditioning, Heating and Refrigeration Institute (AHRI). This method of test is used in conjunction with the performance metrics in AHRI Standard 410 as part of AHRI's ACHC certification program. 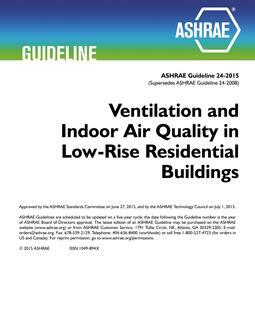 This standard was prepared by ASHRAE Standard Project Committee (SPC) 33. The cognizant technical committee is ASHRAE TC 8.4, Air-to-Refrigerant Heat Transfer Equipment. 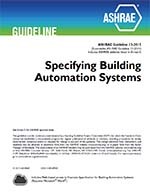 Standard 33 includes access to fluid type test data forms, which can be found online at http://www.ashrae.org/33-2016.